1 Looking to buy this Shoei? 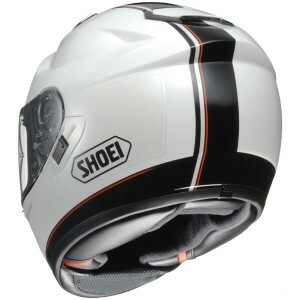 8 Best place to buy this Shoei crash helmet? 11 Looking to buy this Shoei? 12 Definitely want a Shoei? Summary: the Shoei GT-Air is an expensive, well-built, premium priced full faced helmet that’s quiet and comfortable. It has an integral sun visor and great ventilation; but try first as they tend to be a size bigger than normal. Looking to buy this Shoei? We recommend SportsBikeShop (UK) for outstanding service and competitive prices with free delivery, or MotoIn (Ger) for a wide range and excellent € prices. You might also like to click through to the Shoei helmets pages at Amazon UK or if you're in the US, Revzilla have amazing ratings, free delivery and a wide range of Shoeis in stock. Please click any link to drop onto their Shoei helmets pages or see here for info on our recommended stores. 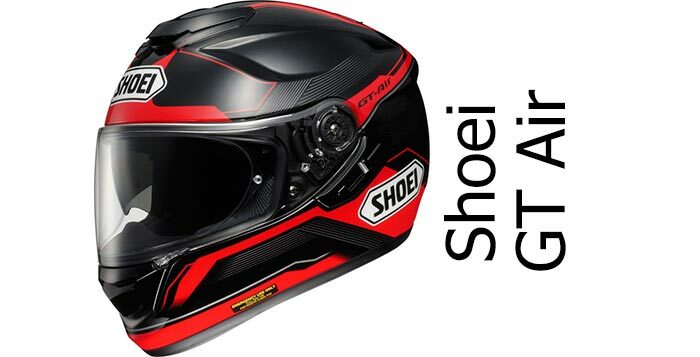 The Shoei GT-Air is Shoei’s new for 2013, top of the range crash helmet for the non-sports rider (i.e. it’s not really designed for the track). As is usual with Shoei, they tend to make a few minor revisions to their old helmet range and develop things organically with lots of little improvements that gradually make it into their whole range of helmets. 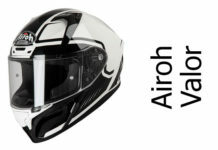 For the GT-Air that means a helmet that’s got lots of useful features – including top notch shell materials, integral sun visor, focus on noise reduction as well as all the usual benefits of buying a premium quality helmet like a Shoei, such as great finishing quality and comfort. At least, that’s what we’re hoping. So, sit back, get your slippers out and have a toot on your favourite bowl of old shag – here’s what people around the web are saying about the Shoei GT-Air crash helmet. Well, like all helmets for sale in the EU, it’s ECE 22.05 stamped, meaning it’ll not fall apart on its first bump. However it only scored a fairly average 3 star rating in the SHARP crash helmet safety test, scoring badly on the side impact tests. This is an area some manufacturers skimp a little to save weight so it’s common for a helmet to lose stars in these tests. The shell is constructed using Shoei’s (**technical acronym alert**) AIM Advanced Integrated Matrix technology – essentially it’s an un-divulged composite material that aims to produce strength, rigidity and absorption – and the lining is multi-density EPS (expanded polystyrene) which is pretty standard fitment in most helmets and does a good job at absorbing impacts. The GT-Air is produced in 3 shell sizes which is generally a good thing – a helmet is designed to have a certain amount of liner and if there’s only one shell size produced, then the size variants are made by increasing or decreasing the amount of EPS liner to fit smaller or bigger heads. 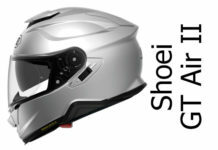 More expensive helmets, like the GT-Air, tend to be produced in more shell sizes, meaning they don’t have to compromise by adjusting the amount of padding too much, resulting in helmets that have much more suitable amounts of padding for each helmet size; so the Shoei’s three shell sizes is a good thing for safety. The GT-Air also has a wider visor aperture for improved visibility – again, the better the visibility, the better for safety and all round ease of use. Owners comment that the build quality seems to be good on the helmet and they like the wider visor – but so far we’ve not had word of anyone dumping themselves down the road wearing one so no reports of how it fared in an accident just yet. Shoei helmets came in at number 6 in our review of the safest crash helmet brands. Shoei wanted the GT-Air to be as quiet as possible. Of course, helmet noise does depend on some things other than the helmet – including the sort of bike you ride (it’ll be quieter sat behind a barn door fairing than bolt-upright on a naked for example). Also, the GT-Air is a sports-touring helmet so the aerodynamics are designed for a more upright riding position – not nose down near the tank. Having said that, lots of owners reckon it’s anywhere from good to great in terms of quietness. It’s always subjective and depends on what your last helmet was and if you’re wearing plugs or not – and one rider reckoned the big vent on the top made quite a bit of noise which again would be dependent on whether you’ve got vents closed or not. But if you’re wanting a quiet helmet, the GT-Air seems overall very good and broadly commended for quietness. Ventilation is a particularly strong point for the GT-Air (but then, with a name like Air, you’d expect it to be I guess). Pretty well everyone seems to rate the vents as really effective, particularly for taking air over the top of the head and cooling your bonce down. Back in the UK, for the 2 days a year that we need tons of cooling, that’s not such a big deal, but the chin vents are good for clearing the visor and since it comes with a Pinlock anti-fog insert, ventilation is generally classed as great. And once you get the hang of which way’s open on the vents (ain’t that always the biggest problem?) then the controls for each of the vents are nice and big and easy to use. Bang on. Oh, OK. Well it’s a really wide visor hole for really wide peripheral vision. The visor’s optically very clear and the seal is improved on previous Shoeis and stops air/water getting in. Can’t ask for more than that. Except perhaps an integral sun visor that’s operated by a big slider to the right of the helmet. Integral sun visors on helmets are especially useful for when the sun’s low in spring/autumn when it’s pretty much an essential safety feature as well as meaning you don’t have to fiddle about, stopping and jamming shades on when the sun pops out. The sun visor also passes the same UV protection standards as sunglasses too – another tick in the box there. As mentioned, the GT-Air comes with a Pinlock anti-mist insert as standard. These are really very good if you’re riding at anything below 10 degrees c. so a welcome addition. If you get the right size, people reckon it’s very comfortable. However, a few folks commented that the GT-Air is a bit on the small size – many people going for a size larger than they’d normally wear, so I suggest trying before buying is a must on this one. On the inside, it’s got removable everything; cheekpads, centrepads, ear pads, chin strap pads and they’re all washable. It’s all very comfortable and plush in there so you should be a happy bunny if you’re all-day riding. 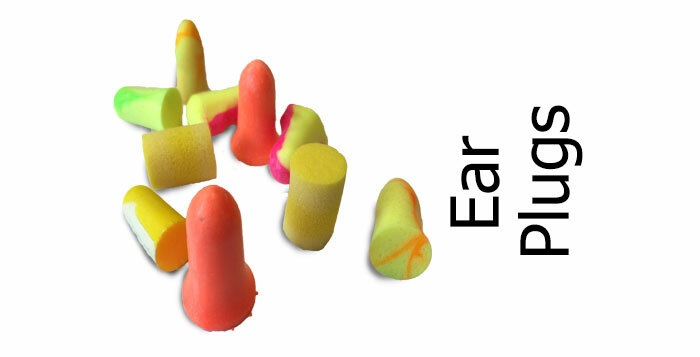 The ear pads can be removed so you can fit earphones and one user said it fitted his audio & intercom system with microphone very easily. Also included with the GT-Air is a breath guard and chin curtain – one there to reduce steaming on the visor and the other to keep drafts out and noise down (though I personally tend to bin them off as, like the bloke in the video below, find these things reduce the anti fogging). 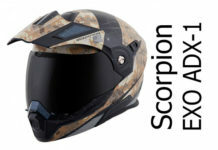 Best place to buy this Shoei crash helmet? 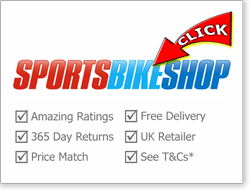 If you want peace of mind when you buy, SportsBikeShop are based in the UK and offer outstanding service (9.8/10 on Trustpilot at the time of writing) including free delivery and 365 day refunds. They're competitively priced too and will match any online prices. Motoin (Germany) get great feedback (4.7 on eTrustedshops at the time of writing) though note, there's a delivery charge to ship outside of Germany, so factor that in (see here for details). 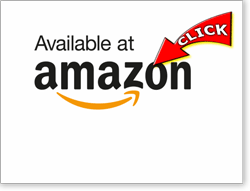 Or you can jump through to Amazon UK if you prefer to buy from there - but make sure you only buy from the most reputable sellers. 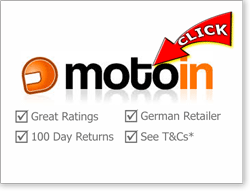 If you're looking for a quality US retailer, we recommend Revzilla (USA). They're based in Philadelphia, have amazing online reviews - at the time of writing 9.8/10 on Reseller Ratings - along with free US delivery for orders over $40. Please click any picture below to visit their Shoei helmets pages. And if you buy from any store, we get a small sum from the sale at no extra cost to you - a massive THANKS! (it's how we finance the site). Click here for more info on our recommended retailers. Click above to drop onto their Shoei helmets pages or *quick view retailer T&Cs here. The Shoei GT-Air is a nice crash helmet. It looks stylish, is terribly well finished, really quiet but only average for safety. If you’re in the UK or Oz, it comes with a double-d ring fastener (which means it would be suitable for the track) but in some territories, it comes with Shoei’s ratchet fastener. If you’re in the market for a premium full faced helmet from a premium manufacturer, want a helmet that’s quiet, comfortable and with an integral sun visor, you could probably do a lot worse that take the Shoei GT-Air for a spin – but try it out first. For other helmet reviews check out either our Crash Helmet Reviews or SHARP 4 & 5 Star Crash Helmet reviews sections! And, as always, if you have experience of the GT-Air, please add your thoughts in the comments section below – cheers! A nicely built helmet that's particularly comfortable and very good at suppressing noise. Only average for safety though which is where its overall score dropped a little. I can’t believe this helmet gets a good review for being quiet, I made a huge mistake moving from a HJC to this incredibly noisy helmet, a serious waste of money that I will regret for months. 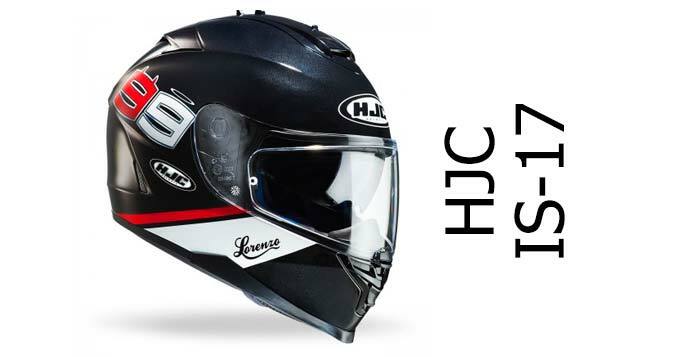 My HJC CS-15 is cheap, but so much quieter than the supposedly really quiet GT Air, so disappointed and gutted that I spent so much money on this so calle premium helmet, serious shame you can’t try before you buy. Back to HJC in the future for me!!!!!! I have a Shoei GT Air; 18months use and its very good. a great “upgrade” on the XR1100 I had previously. I agree with your review comments. Sizing though is tricky. It seems to be common opinion that the GT Air is sized about a half size up on normal Shoei sizing. 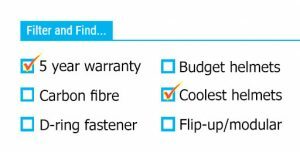 I wish I’d known that, or indeed the dealer, when I bought it as it is really a little tighter for me than ideal. I’d thought is would loosen up after a few miles, as per normal with a new helmet, but it didn’t!